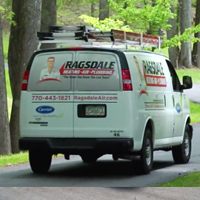 Ragsdale has been family owned and operated for over 20 years, serving nearly 50 communities near the Atlanta area. Ragsdale technicians have 500 hours of training, and they’ve served over 123,000 satisfied customers, earning them an A+ rating from the Better Business Bureau. The highly-trained techs at Ragsdale focus on servicing, designing, engineering, and installing complete comfort systems for all of their customers.